As some of you may have noticed, it has been a bit more quiet here than it used to be. Well, the reason for that, after several months of collaborative hard work, blood, sweat and tears, is finally here (and in stores just in time for the Holidays): A book titled Pro Exchange 2013 Service Pack 1 PowerShell Administration! The Client Access Server role and topics such as namespaces, certificates, load balancing, and publishing. High availability topics like Database Availability Groups and Client Access and Transport availability. Message Hygiene using the Edge Transport server role and anti-spam features. Backup, Restore and Disaster Recovery, including the backup-less’ Native Data Protection scenario. Unified Messaging features and integration with IP telephony solutions such as Microsoft Lync Server. Compliance features like In-Place Archiving and MRM, In-Place Discovery, In-Place Hold, Data Loss Prevention including fingerprinting, and auditing. Role-Based Access Control model and Split Permissions model for organizations that require this. Office 365 and Exchange Online (EXO) scenarios, federating organizations, directory synchronization, ADFS and Multi-Factor Authentication, as well as basic tasks like onboarding and offboarding mailboxes. Our 600+ page book will take a PowerShell-first approach when talking about Exchange Server 2013. You can order the book from Amazon here. I have also added it to the book page here, which also contains other useful books when you want to learn about Exchange or related technologies like PowerShell, Active Directory or Lync Server. The long awaited Service Pack 1 for Exchange Server 2013 was released today by the Exchange Team (KB2926248). This update raises Exchange 2013 version number to 15.0.847.32. 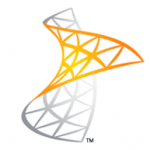 Support for running Exchange Server 2013 SP1 on Windows Server 2012 R2. Support for Windows Server 2012 R2 Domain Controllers and Windows Server 2012 R2 Forest and Domain Functional Level. MAPI over HTTP. More information on MAPI over HTTP here. Note that MAPI over HTTP requires Outlook 2013 SP1; you can download Office 2013 SP1 32-bit version here and the 64-bit version here. DLP policy tips for OWA. Add custom document types to DLP using fingerprinting technologies. Cmdlet logging in Exchange Administrative Console. Support for IP-less DAGs (on Windows Server 2012 R2). Cumulative Updates and Service Packs includes schema and AD changes, so make sure you run PrepareSchema /PrepareAD. After updating, the schema version will be 15292. Note that Service Packs and Cumulative Updates can be installed directly, i.e. no need to install RTM prior to Cumulative Updates or Service Packs. Note that once applied, you can’t uninstall a Cumulative Update or Service Pack nor any of the installed Exchange server roles. The order of upgrading servers is irrelevant, unlike with previous Exchange generations. Also check with any 3rd party products you may use – there are reports of compatibility issues with 3rd party transport agents by Exclaimer, Trendmicro (other AV solutions possibly as well) and CodeTwo. The cause of the Transport service failing to start or problems with installing 3rd party transport agents has been identified. A workaround can be found here. You can download Exchange 2013 Service Pack 1 here. The Exchange 2013 SP1 UM Language Packs can be found here. More details about these changes, preparing Active Directory or installing this Cumulative Update can be found in the original announcement here. Microsoft published three sessions from the Redmond Interoperability Protocols Plugfest 2013 on Channel 9 on the protocol MAPI over HTTP or MAPI/HTTP which looks scheduled to arrive with Exchange 2013 Service Pack 1. This protocol is set to (over time!) replace the RPC/HTTP protocol we all know. RPC/HTTP, or Outlook Anywhere, is used by Outlook to communicate with Exchange Server and is most often seen with clients working remotely. With Exchange Server 2013, support for MAPI was dropped and RPC/HTTP became the only protocol. With Exchange 2013 SP1 it seems we will receive an alternative which is set to replace RPC/HTTTP, MAPI/HTTP. Of course, the information is preliminary and subject to change as Exchange 2013 SP1 hasn’t been released yet, but it won’t harm to get familiar with the planned changes. It also remains to be seen how quick organizations will adopt this new protocol, which I’m pretty sure we will soon see getting supported by Office 365. Joe Warren, Principal SDE at Microsoft delivering a presentation covering the Exchange 2013 MapiHttp protocol implementation in Exchange 2013 SP1. Topics: What is MAPI-HTTP?, Why do MAPI-HTTP?, Goal of MAPI-HTTP, Why not rebuild with EWS?, Existing RPC-HTTP, New MAPI-HTTP, What does a MAPI-HTTP request look like?, What does a MAPI-HTTP response look like?, Session Context, Request Types, Sequencing & Protocol Failures. Click here. Shri Vidhya Alagesan, SDE at Microsoft presenting on Outlook 2013 Client Protocols from a client’s perspective. Topics: Client side view of Outlook-Exchange MAPI-HTTP protocol using WinHTTP, Error Handling & RPC Vs. MAPI-HTTP with sub-topics of Architecture Overview, Outlook & WinHttp, Cookies, Connection Status Dialog, Timeout, Pause/Resume & Protocol Switching. Click here. Andrew Davidoff, Senior Software Developer Engineer in Test at Microsoft presenting on the Exchange 2013 protocol families and important protocol updates for Exchange 2013. Click here. Harvey Rook, Principal Development Lead, and Naveen Chand, Senior Program Manager Lead, deliver a presentation on Exchange Web Services best practices. Click here. Jigar Mehta, Software Development Engineer in Test provides an in depth overview of the test suite packages for the Exchange RPC and Exchange Web Services protocols. Click here. The rollups addresses vulnerabilities described in MS12-080. In addition, Rollup 9 for Exchange Server 2007 SP3 contains a fix for the EdgeTransport.exe process which could crash when processes a single occurrence of a recurring meeting (KB2748658). The KB article reads that, “This update resolves an issue in which the digital signature on files that are produced and signed by Microsoft expires prematurely as described in Microsoft Security Advisory 2749655.” However, that should have already been fixed already in the v2 updates (refer to the same Security Advisory). With all this subversioning of rereleases, one may wonder why they didn’t release Rollup 5 for Exchange as Rollup 4 v3, which perhaps would be less confusing. The Exchange Team silently released RU7 for Exchange Server 2010 Service Pack 1 (KB2743248). This update raises Exchange 2010 version number to 14.1.421.0. This Rollup only includes the fix for the WebReady security issue described in Microsoft Security Bulletin MS12-058 (KB2740358). You can download Exchange 2010 SP1 Rollup 7 here. Microsoft released Service Pack 2 for Forefront Threat Management Gateway 2010, updating TMG to version 7.0.9193.500. • You can now use Kerberos authentication when you deploy an array using network load balancing (NLB). • Changes to SSL memory pool to increase Outlook performance when using Exchange online. • The new Site Activity report displays a report showing the data transfer between users and specific websites for any user. • A new look and feel has been created for error pages. • Error pages can be more easily customized and can include embedded objects. You can download Forefront TMG 2010 SP2 here. Full release notes will be made available here.